Admin (back office) functionality is accessed using a username and password. The username will be defined as your email address. Directly access using your admin URL. It should look something like samplecompany.krispsystems.net/admin. On the KRISP POS screen, use the menu to go to an admin page or functionality. Employee access together with roles and permissions determine your administration access. Click on the logout button to exit admin. Most of the pages in admin will have a filter on the top of the page, so you can filter available data. Click the collapsed filter area to expand the area. 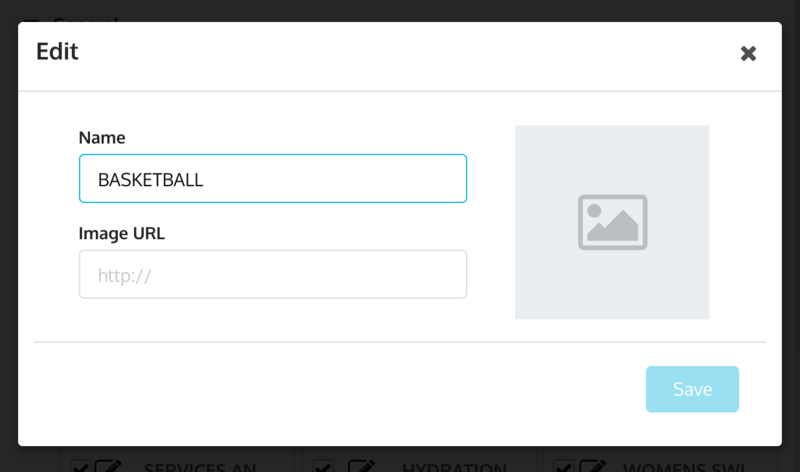 This will expose the filter fields, which you can use to filter the page. The fields will vary depending on the page you're on. For example, on the Employees page, you can enter in the name, email address, contact number, reference ID , primary location, and price level. The data on the page will automatically refresh every time you change something in the filter area. Go to Setup > Company > Subsidiaries. Using the filter options, identify the subsidiary which you want to view or edit. Click the edit icon on the right. The currency on an existing subsidiary will not be editable. Click the Save button when you're done updating the details. Note: You can only delete a subsidiary that is not associated with any other attribute within the application. If you need to create a new one, go to Creating a new subsidiary. Go to Setup > Company > Locations. Using search filters, identify the location which you want to view or edit. If you need to create a new one, go to Creating a new location. Go to Setup > Lists > Relationship types. Find the relationship type you want to edit. Use the filters if needed. Click the edit icon on the right side. Go to Relationships > Employee. You will see a list of all the employees created. Using the available filters, you can search for the employee you're looking for. If you need to update or edit an employee's details, you can click on the edit icon on the right. Employee's entity types: If the employee is to become another entity type, you must update the Entity type textfield in order for them to be retrieved from other non-employee entity-related management functions in the admin. Note that employees transacting in KRISP POS will automatically be tagged as a customer. Password reset: Click on the Reset password button to prompt a system email to be sent to this employee's email address. This email contains simple steps to set their new password. Alternatively, if the employee forgets their password, there is a link from the login page which allows them to reset the password. Register PIN: The PIN would be available only after the employee record is saved. Hover on the Reset PIN button to view the PIN number for this employee. As an administrator, you will need to provide this PIN number to the employee. To reset the PIN, just click on the Reset PIN button, then hover over it again to view. Click the Save button after you're done updating the employee details. If you need to create a new one, go to Creating a new employee. If their Access enabled toggle is on. If their usage date is within the start and end access dates. Click Access on the left sidebar. Turn off the Access enabled toggle. Enter in employee's end date. If an employee is temporary, you can also set the end date beforehand. Go to Setup > Device > Devices. Find the cash register the ex-employee has access to. Click the edit icon on the right. Scroll down to the bottom of the page to the Employee access. Uncheck the Active checkbox, or press X to completely remove access. Press Save button to update the changes. Look for the customer you want to edit. Use the filters if needed. If you need to create a new one, go to Creating customers from the admin. Go to Relationships > Contacts. Look for the contact you want to edit. Use the filters if needed. If you need to create a new one, go to Creating contacts. Currency defines a legal tender. Currencies are defined by their name, code, and symbol. Additionally, currency denominations can be defined. Denominations are primarily used for till management. The application comes pre-loaded with currency definitions. But you can still add or edit existing entries. Go to Setup > Finance > Currencies. Find your currency. Note that currencies come predefined in the systems. Under the Denominations section, click the Add denomination button. Provide both the name and the denomination in their respective fields. Hint: Start with the smallest currency. Repeat this step for all denominations. Click the Save button when you're done. If you need to create a new one, go to Setting up a new currency or denomination. The application comes pre-loaded with country definitions. But you can still add or edit existing entries. Go to Setup > Address > Country. You can use the filter to find the country you're looking for. Click Save button once you're done. If you need to create a new one, go to Setting up a new country. Go to Setup > Classifications > Groups. Look for the classification group you want to edit. Use the filters if needed. Go to Setup > Classifications > Classes. Look for the class you want to edit. Use the filters if needed. If you need to create a new one, go to Creating classifications. Go to Setup > Classifications > Seasons. Choose the season you want to edit. Use the filters if needed. Go to Setup > Classifications > Facets. Look for the facet you want to edit. Use the filters if needed. If you need to create a new one, go to Creating product facets. Go to Setup > Classifications > Brands. Look for the brand you want to edit. Use the filters if needed. If you need to create a new one, go to Creating product brands. Go to Setup > Classifications > Regions. Look for the region you want to edit. Use the filters if needed. If you need to create a new one, go to Creating location regions. Go to Setup > Address > Address types. Look for the address type you want to edit. Use the filters if needed. If you need to create a new one, go to Creating address types. Go to Setup > Finance > Tax types. Select the tax code, tax group, or tax rate you want to edit. If editing, updating the required values. If you need to setup taxes, go to Setting up taxes. Go to Relationships > Supplier. 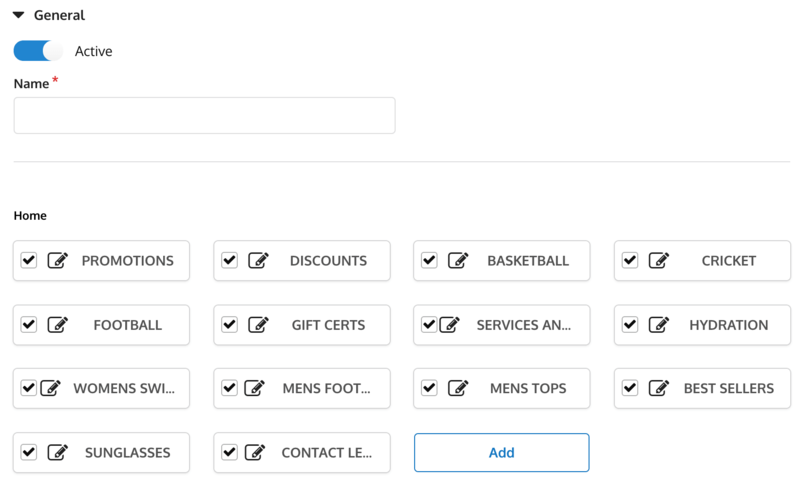 Using search filters, identify the supplier which you want to view or edit. Update the necessary fields. Note that if a supplier's entity type needs to change, you need to update the Entity type textfield, so they can be retrieved from other non-employee and entity-related management functions in the admin. If you need to create a new one, go to Creating new suppliers. Go to Setup > Classification > Hotkeys. You will see the list of existing hotkey groups. Select the hotkey group you want to view or edit. Click the edit icon if you want to update the details. Click Save button if you made changes. If you need to create a new one, go to Creating hotkey groups. Go to Setup > Matrix > Definitions. You can click Names or Values if that's what you need to edit. Find the item you want to edit. Click the edit icon on the right. If you need to setup a new one, go to Defining a matrix and creating components. Go to Products > Price books. Select the price book you want to edit. If in edit mode, alter values required. Note: Active price books (price books currently being used) can only be updated if the system preference is enabled. If you need to create a new one, go to Creating price books. Go to Product > Items. Look for the item you want to edit. Use the filters if needed. Click the edit icon on the right side. You will see that location and sub location cannot be edited and will be view-only. If you need to create a new one, go to Creating new products. Look for the bundle you want to edit. Use the filters if needed. If you need to create a new one, go to Creating product bundles. Go to Setup > Finance > Cash rounding. Find the item you want to edit. In edit mode, alter values required. If you need to create a new one, go to Setting up cash rounding rules. Go to Concessions > Promotions. Look for the promotion you want to edit. Use the filters if needed. If you need to create a new one, go to Creating promotions. Go to Setup > Lists > Credit types. Choose a credit type you want to edit. Use the filters if needed. Go to Setup > Device > Device types. Look for the device type you want to edit. Use the filters if needed. If you're editing a register, an option to reset the device will be available. Resetting the device removes the unique 'register device' to 'physical register' relationship, freeing up the register device (and physical register) to be used elsewhere. Select the Reset option to clear the relationship. If you need to create a new one, go to Setting up KRISP POS devices. Choose a device type you want to edit. Use the filters if needed. Go to Setup > Lists > Task types. Look for the task type you want to edit. Use the filters if needed. If you need to create a new one, go to Creating task types. Look for the task you want to edit. Use the filters if needed. If you need to create a new one, go to Creating tasks. KRISP preferences are predefined parameters that allow the configuration of the application, as well as look and feel, e.g. cash drawer (till) float, administration inactivity timeout, or tax inclusive / exclusive settings. Preferences are hierarchical and can be defined at the location, subsidiary, and account levels. Additionally, the predefined system defaults may be available as a base setting. When a setting is not defined, the system will seek a value for the setting by inheritance within the hierarchy. Note: Settings, and their availability to be set, are predefined, i.e. cash rounding can be defined at the subsidiary level, but not at the location level. System default is the top level. When no other setting has been defined, the application will look to apply this setting. Account is at the top user level setting, and when a preference is set at this level, by default, the subsidiary and location will inherit these preferences. Subsidiary is the middle level, and will inherit the account level setup. You have the option to override what has been set at account level. Location is the lowest level, and will inherit the subsidiary level setup. You have the option to override what has been set at subsidiary level. The preference listing illustrated are user defined listings, i.e. it lists all location, subsidiary, or account listings set during user configuration of the account. Go to Setup > Company > Preferences. On the preferences page, find the user preference you want to change, and then click Edit. You will see each of the preferences listed, with their default values. From the Preference type dropdown, choose either account, subsidiary, or location. If subsidiary is chosen, select a specific subsidiary. - If location is chosen, select a specific location. Edit the value on each preference line as needed. Note: The preferences are typically related to system settings, and therefore updates will ONLY take effect when the browser is refreshed. 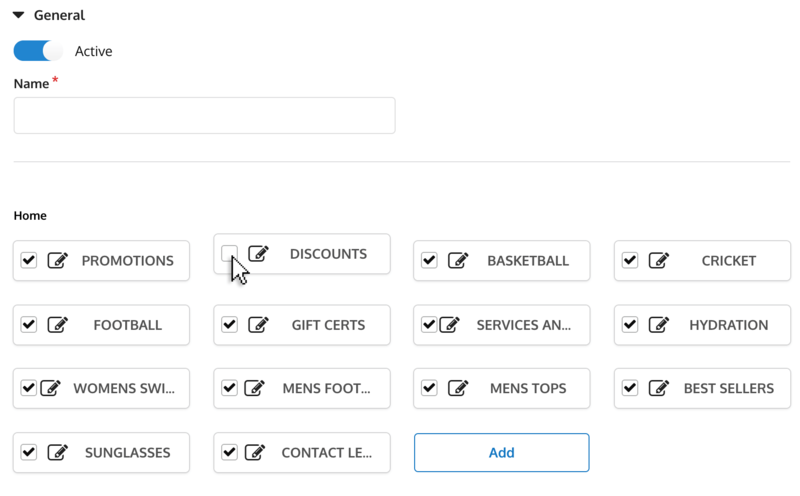 Hotkey templates allow retailers to organize their items in the workplace. Hotkey templates can be associated with all locations in an account, all locations within a subsidiary, or specifically with a location. Example: For an organisation that sells different products at different stores, each of these locations will require different hotkeys. Hint: Typically, hotkeys are used to provide quick access to items that 1) do not have a barcode, i.e. cannot be scanned, 2) are frequently used, and 3) are associated to specials or promotions. Go to Setup > Hotkeys > Templates. By default, all the hotkey groups will be shown when you first create a new template. You can adjust the template as needed. If you want to not include a hotkey on the template, just uncheck the checkbox for that group. Click the edit icon beside the name. 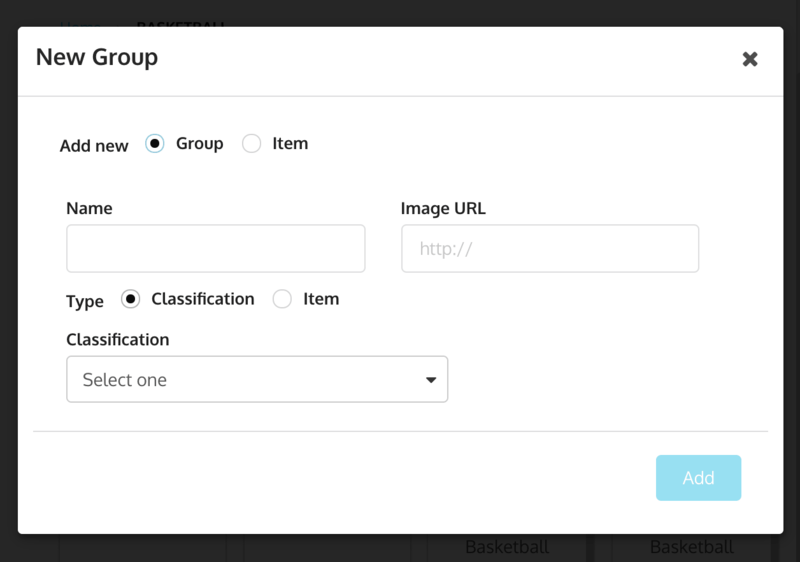 You can now change the name or image URL of the group. Note: You can click on the hotkey group name to see the list of items or classes defined inside the group, and you can click the edit icon beside the names to edit those as well. Similarly, to disallow the item or class from being included in this template, you can just uncheck the box for the item or class. You can also click on Add to add new items or classes to this hotkey template. Multi-level hotkey is a hierarchical structure of displaying the items in the workplace. Note that the best practice is to not exceed three levels. Create or edit an existing template. Add a new group. This group will be the first level. Choose between item or classification. Click your first level group. You’ll notice that there is a new Add button. Click Add to add a new group. This new group will be your second level. Same as above, choose item or classification. Repeat the steps until you’ve reached your desired level. The hotkeys can be arranged or repositioned by dragging the hotkeys. Click and hold the hotkey you want to reposition. Drag it to the desired place. After your templates have been defined, you can now apply it on your POS. Select Register from the sidebar. Find the POS hotkey template. You can choose to edit this at the Account, Subsidiary, or Location level. Choose the template that you created from the dropdown. The register is started for the first time in a day. The cashier forces a re-sync. A time greater than 10 minutes has elapsed since the hotkey was applied to the location, and (b) the cashier logs off and logs on. Loyalty points are accumulated by a customer when buying items which can earn them points. Points can be set at the item location level, price level, and on a promotion. Points = item location multiplier * Price (Loyalty) Level multiplier * Promotion multiplier. Click the edit icon beside the item. Click Item location on the left sidebar. Find the item location you want to edit. Click the edit icon . In the loyalty multiplier field, enter the multiplier you want applied for the customers. Points can additionally be set on a price level. Go to Setup > Lists > Price level. 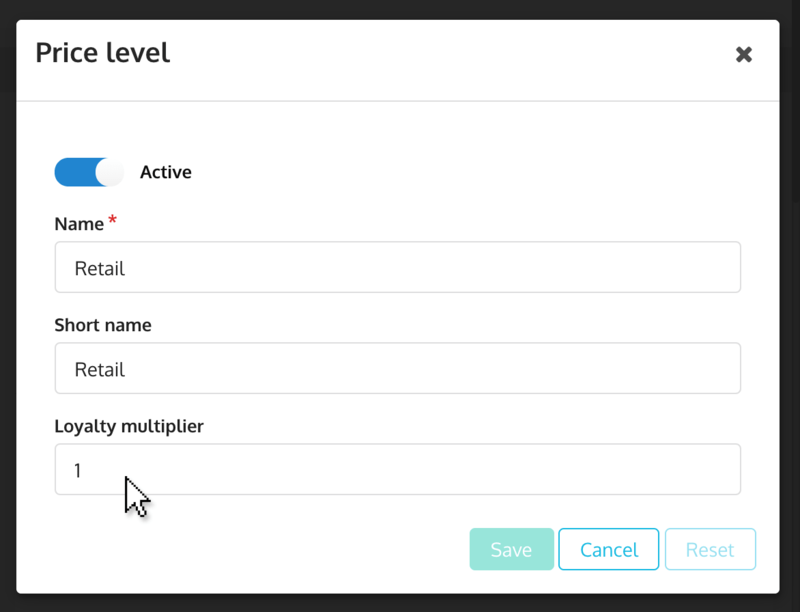 Click the edit icon for the price level you want to edit. You will see a popup where you can edit the loyalty multiplier field. Points can additionally be set on a promotion. Click General on the left sidebar. Enter preferred multiplier in the the loyalty multiplier field. On a single transaction line, if the item has multipliers set at the item location, promotion, price level, then the points will be multiplied by each of the multipliers. Total points accumulated on a single transaction for this item will be 120 (10 x 2 x 2 x 3). Prices will only be effective during the period defined in the price book. Go to Product > Price books. Note: In the system preferences, 'Allow current price book update' allows or disallows a current effective price book to be edited. Best practice is to NOT edit a currently active price book where the 'available to' date is earlier than the current date. When you are purchasing and receiving inventory in a currency that is different from your base currency. When you are accepting multiple currencies at the register. Go to Setup > Finance > Exchange rates. Effective date: Set a date when the rate is effective. Currency from: Set currency from. Currency to: Set currency to. Rate: Set rate which the amount from ‘currency from’ is equivalent to ‘currency to’. Where the specific item can be sold. Key attributes of the item at that location. You can define multiple locations for one item. You MUST have a minimum of one (1) item location record for each item. A default location per currency can be used to identify default item location details. Inventory tracked items MUST have one (1) item location record per store. Find the item location you want from the list. You can also use the filters if necessary. Or click the plus icon to add a new item location record. You will be redirected to a form that you have to fill out. The fields listed below may vary based on the item type. Default: Check this to set the location as the primary item location. Location: Choose location where the item will be available. Price book: Choose price book to set the price of the item. MSRP: Set manufacturer suggested retail price. Floor price: Lowest price that the seller will accept. Tax group: Set tax group for the item. Loyalty multiplier: Add loyalty multiplier for the item. Cost price: Total cost set by the manufacturer in producing the item. Landed cost: Total cost of a landed shipment including purchase price, freight, and other costs up to the port of destination. Shipping cost: Cost in transporting an item from the store to the customer’s location. Handling cost: Cost implied on consumer other than selling price of product. These includes packaging and the likes. Min: Set suggested minimum quantity for the item. Max: Set suggested maximum quantity for the item. Safety stock: Set an additional quantity of an item in order to reduce the risk that the item will be out of stock. Back order ETA: Estimated time for the purchase order to received (cannot be edited). Last replenishment: Displays the date of last restock (cannot be edited). Available for pickup: Determines whether the item can be marked for pickup (at later date). Available to ship: Determines whether the item can be shipped to the customer. Available for transfer: Allows the option for the item to be transfer from one store location to another. Allow manual discount: Allows the option for the cashier to apply a manual discount to the item. This is pre-set to true. Available on web: Determines if the item is available to be sold on the store’s website. Reorder Determine if the store can re-purchase the item. Discount percentage: Set a percentage discount for the discount or coupon item to be applied in the cart. Discount amount: Set a fix amount markdown for the discount or coupon item to be applied in the cart. Charge percentage: Set a percentage charge for every service rendered or goods supplied. Charge amount: Set an extra fix amount for every service rendered or goods supplied. Location: Examples are store and hold locations. Available: Available to be sold, excludes any reserved or in transit quantities. On hand: Available in store regardless of any reserved or in transit quantities. In transit: Quantities currently between locations. Average cost: Average cost of the item. Total cost: Total cost of the item. Identifies suppliers of the item to the item location. Click the Save button once required details have been entered. Reason code and comments are the only certificate fields that can be manually updated. Go to Concessions > Certificates. Choose the certificate you want to edit. Use the filters if needed.